The Vietnam War confronted the monasteries with the question of whether to adhere to the contemplative life and remain meditating in the monasteries, or to help the villagers suffering under bombings and other devastation of the war. Nhat Hanh was one of those who chose to do both, helping to found the “engaged Buddhism” movement. He has published more than 100 books, including more than 40 in English. Nhất Hạnh was born in the Central Vietnnam on October 11, 1926. At the age of 16 he entered the monastery where his primary teacher was a meditation Zen Master. A graduate of Bao Quoc Buddhist Academy in Central Vietnam, Thich Nhat Hanh received training in Zen and the Mahayna school of Buddhism and was ordained as a monk in 1949. In Saigon in the early 60s, Thich Nhat Hanh founded the School of Youth Social Service (SYSS), a grass-roots relief organization that rebuilt bombed villages, set up schools and medical centers, resettled homeless families, and organized agricultural cooperatives. Rallying some 10,000 student volunteers, the SYSS based its work on the Buddhist principles of non-violence and compassionate action. Despite government denunciation of his activity, Nhat Hanh also founded a Buddhist University, a publishing house, and an influential peace activist magazine in Vietnam. In 1960, Nhat Hanh went to the U.S. to study comparative religion at Princeton University, subsequently being appointed lecturer in Buddhism at Columbia University. By then he had gained fluency in French, Chinese, Sanskrit, Pali, Japanese and English, in addition to his native Vietnamese. In 1963, he returned to Vietnam to aid his fellow monks in their non-violent peace efforts. Nhat Hanh returned to the US in 1966 to lead a symposium in Vietnamese Buddhism at Cornell University and to continue his work for peace. He had written a letter to Martin Luther King Jr. in 1965 entitled: “In Search of the Enemy of Man”. It was during his 1966 stay in the U.S. that Thich Nhat Hanh met with Martin Luther King, Jr. and urged him to publicly denounce the Vietnam War. In 1967, Dr. King gave a famous speech at the Riverside Church in New York City, his first to publicly question the U.S. involvement in Vietnam. Later that year Dr. King nominated Thich Nhat Hanh for the 1967 Nobel Peace Prize. In his nomination Dr. King said, “I do not personally know of anyone more worthy of [this prize] than this gentle monk from Vietnam. His ideas for peace, if applied, would build a monument to ecumenism, to world brotherhood, to humanity”. In 1969, Nhat Hanh was the delegate for the Buddhist Peace Delegation at the Paris Peace talks. When the Paris Peace Accords were signed in 1973 (intended to establish peace in Vietnam and end the Vietnam War), Thich Nhat Hanh was denied permission to return to Vietnam and he went into exile in France. 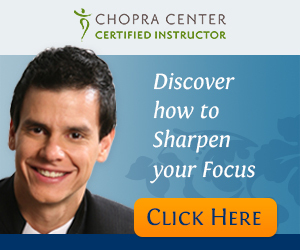 Nhat Hanh created the Order of Inter-Being. He heads this monastic and lay group, teaching Five Mindfulness Trainings and Fourteen Mindfulness Trainings. The order has established centers in the United States (California, New York and Mississippi). These monasteries are open to the public during much of the year and provide on-going retreats for lay people such as families, teenagers, veterans, the entertainment industry, government officials, law enforcement officers and people of ethnic and religious backgrounds. He also formed the Sweet Potatoes Meditation Center which grew considerably, so he and his colleague Sister Chân Không founded Plum Village Buddhist Center in 1982, a monastery and Practice Center in the south of France. In 2005, following lengthy negotiations, Nhat Hanh was given permission from the Vietnamese government to return for a visit. He was also allowed to teach there, publish four of his books in Vietnamese, and travel the country with monastic and lay members of his Order, including a return to his root temple. Despite the controversy, Nhat Hanh again returned to Vietnam in 2007 to support new monastics in his Order, to organize and conduct “Great Chanting Ceremonies” intended to help heal remaining wounds from the Vietnam War and to lead retreats for monastics and lay people. The chanting ceremonies were originally called “Grand Requiem for Praying Equally for All to Untie the Knots of Unjust Suffering”, but Vietnamese officials objected, saying it was unacceptable for the government to “equally” pray for soldiers in the South Vietnamese army or U.S. soldiers. Nhat Hanh agreed to change the name to “Grand Requiem For Praying”. He has returned to Vietnam regularly since. When not traveling the world to teach “The Art of Mindful Living”, Nhat Hanh teaches, writes, and gardens in Plum Village. Nhat Hanh’s approach has been to combine a variety of traditional Zen teachings with insights from other Buddhist traditions and ideas from Western psychology to offer a modern light on meditation practice. 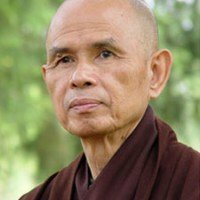 Nhat Hanh has also been a leader in the Engaged Buddhism movement (he coined the term), promoting the individual’s active role in creating change. Thich Nhat Hanh’s key teaching is that, through mindfulness, we can learn to live in the present moment instead of in the past and in the future. Dwelling in the present moment is, according to Nhat Hanh, the only way to truly develop peace, both in one’s self and in the world.